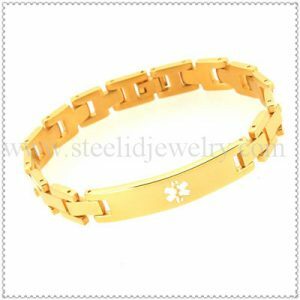 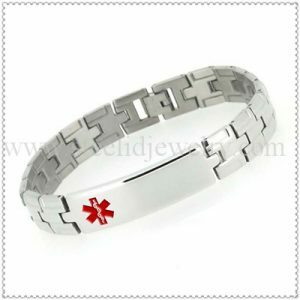 10mm width links with 45mm cruved medical id plate, can engrave 3~4 lines medical text, 7~8.5″ length, can be customized. 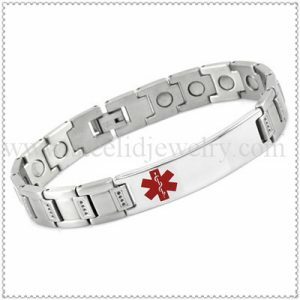 Able and enduring, the time’s medical id bracelet collection provides great looking security for every day wear. 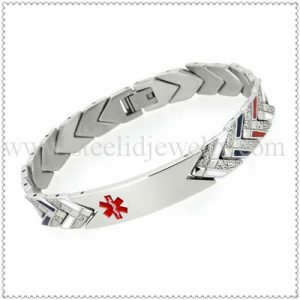 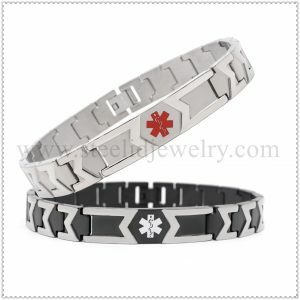 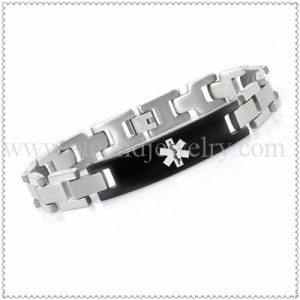 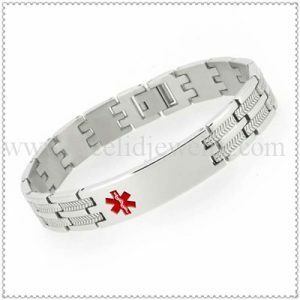 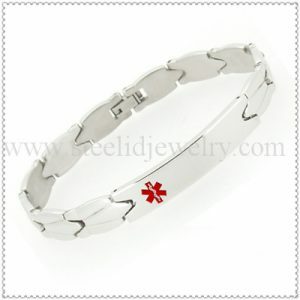 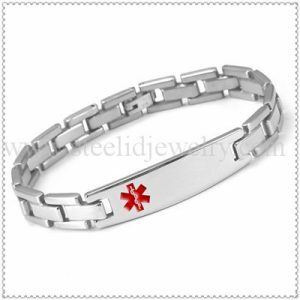 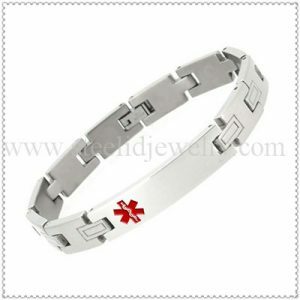 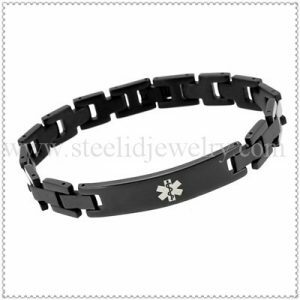 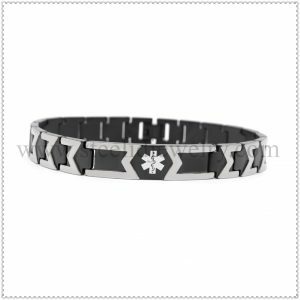 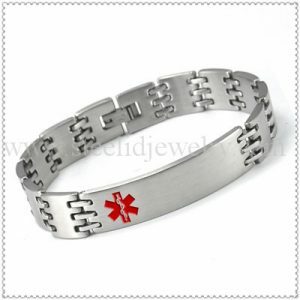 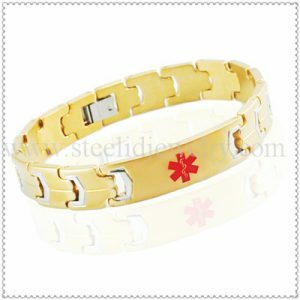 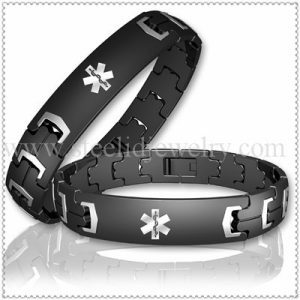 This medical ID dashing design bracelet makes for an excellent present for a family member or friend. 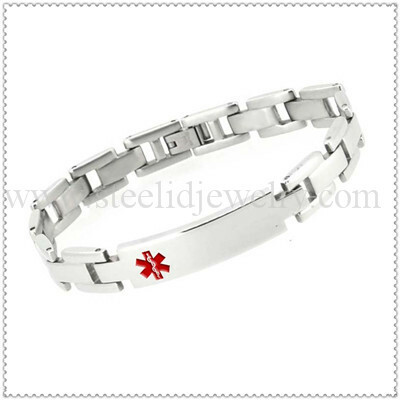 Titanium material especially suit for the allergies people.